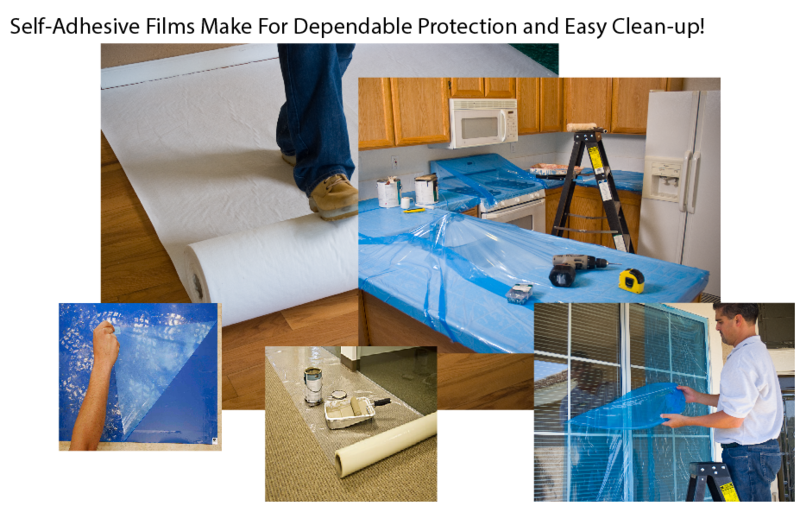 Surface Protection- Carpet Protector, Counters, Floors & More! Whether you are a DIY (Do It Yourself) homeowner, or a contractor beautifying customer's homes, here are the products that will protect the surfaces that you don't want to accidentally ruin. Both self adhesive and non self adhesive, these films were engineered to do the job they were made for. Please click on the product links below to learn more about each one. Outstanding adhesive strength for both horizontal and vertical applications. GPS Carpet Plastic -Surface protection for your carpets! This film has been doing a great job for decades! What makes ours great? Awesome product to keep dirt and dust out! Grab your popcorn and enjoy! Deckprotek is an Extra Heavy-Duty, fire retardant film. Protects the surface of the glass for over spray. Need to Move Beyond The Surface? Let's Talk!